November 16, 2018 by Matthew Rossi. You may be looking at security cameras for a purpose other than plain old surveillance. We answer questions about new and innovative ideas daily. Some of these different applications range from a zoo exhibit, sporting event, or construction site to show progress. Whether you want to capture video, short clips or snapshots our security cameras can handle any task. In this article we will show you how to get started with your standalone security camera project. This guide will help you use a security camera, that you have purchase from CCTV Camera World, in standalone mode. Before using any security camera there are some important considerations to take in to account to ensure there is no damage to your new camera. Before using any new device, it is important to read from the product's label to determine which power source it accepts. If you are using our IP security cameras with SD card input for standalone purposes, then it is most likely a 12V DC or PoE camera. 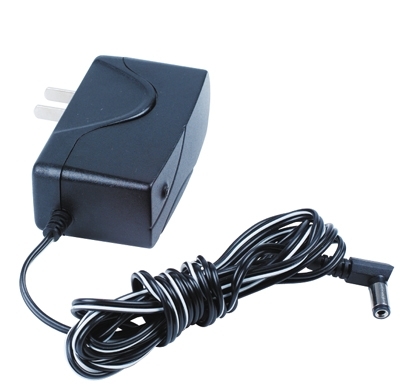 That means it can be powered using a 12V DC power supply which looks like the power adaptor pictured below. Please note that powering a camera with non-compatible equipment voids the warranty of the product. If you have a question about power do not hesitate to email and ask. Caution 1: If you use a power adaptor that is the wrong voltage, it will damage the camera and void its warranty. For example, if you have a power supply that looks similar but outputs anything other than the required voltage for the camera, the internal circuit board of the camera will be damaged. Caution 2: There are non-compliant forms of PoE switches and injectors available on the market which are meant for equipment other than security cameras. Namely, there are Passive PoE devices that do not negotiate power delivery. These are commonly available from manufacturers of wireless radios such as Ubiquiti, Ruckus, or Sonicwall. Passive PoE switches and injectors should not be used with IP cameras as they will damage the camera by providing an incorrect voltage to the camera. You can find posts from Ubiquiti employees on the official forums, and other commenters with related PoE issues. After you have powered the camera the next step is networking the device. When configuring a camera the first thing you need to do is connect it to your computer or network. The 3 ways to accomplish this are written out in a detailed guide found here. As explained in the guide, using the ConfigTool on a Windows PC you can find a camera on your network or modify it’s IP address. Our cameras come with a default IP address of 192.168.1.108. If your camera doesn't require initialization, then is would have a username of admin, and a password that is admin or 10iLtxyh. For initialization see section "Using a Windows PC to view your camera." Every network security camera from CCTV Camera World has a built-in web server which you can log on to using a web browser. Please note that surveillance cameras are primarily designed for Windows and Mac users; there is no support for Linux users. It is recommended to use Internet Explorer, although there is an EasyViewer App for Chrome and plugins for the Safari browser, they are compatible with select models only. For best and reliable performance, Internet Explorer is required with full admin rights as installation of web plugins to view and control the camera is impossible in a Windows environment with limited user rights. As mentioned above, you need to use Internet Explorer to view your camera on a Windows PC. There is a special plugin that is installed by the camera on your computer, so you will need administrative privileges to login for the first time. With the advent of new security measures the camera might need initialization before allowing access. This ensures that a custom password is set so that the device is not vulnerable when used over the internet. Often times this process is done through our order preparation process. If your camera comes initialized, the password is found on a label located on the top flap of the camera box. If we do not set a custom password it is the customer’s responsibility to initialize the camera and set a secure password. The password must be 8 to 10 alphanumeric characters with no special characters. Here's a video on how to initialize your camera once you have placed it on your network. Once you have initialized your camera and logged in to it for the first time, you will see video from the camera and have complete control of the functions it has to offer as shown in the video below. As demonstrated above in the Windows PC section, similar functionality can be had when logging in to your camera from a Mac. The video below shows how to install the correct plugins on your Mac so you can log in to the camera and begin using it. The functionality of the interface is similar to what is show in the section above. 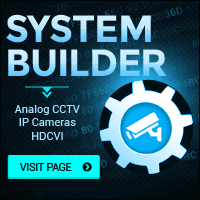 All of our cameras and recorders come with free remote viewing client software that can be used to manage multiple cameras, or security camera systems purchased from CCTV Camera World. If you are using several standalone security cameras, then it is recommended to use our client monitoring software which can be found here along with instructional guides. Our cameras also support viewing from a mobile device such as a smartphone or tablet. We have apps that are available for iPhone and Android. There are two methods that allow you to view over the internet. One requires you to have port forwarding enabled and configured on your network. The second uses a P2P connection, but it can be sluggish and is not recommended. Here is our guide for information on the setup and use of the remote viewing apps. Keep in mind that a standalone camera will not have storage unless it supports an internal microSD card, which allows the camera to store video or snapshots locally. You can access that storage using a web browser or SmartPSS software. We have guides for both video recording to a SD card, and capturing snapshots or pictures. This is the easiest solution when trying to use a standalone camera for short video clips or snapshot recording. An IP camera from CCTV Camera World also allows for upload to an FTP server or cloud-based storage solution. If you have an FTP server, the camera supports connecting to and storing files there. 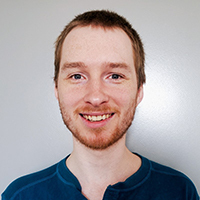 Our video below shows how to configure a camera to connect and record to an FTP server. Or if you want to avoid the necessity of storing all of the files on a server or computer, Angelcam is a third-party solution that is compatible with our cameras. Another potential use of a security camera is to stream a video feed over the web. Our cameras can be streamed to any of the popular online streaming services. All you need to do is capture the stream inside of a Windows PC or Mac and then upload it to your favorite service. We recommend using YouTube Live because it is free and only requires a YouTube account. For more information on live streaming check out our guide on how to stream a security camera to YouTube Live that shows how easy it is to take a camera stream and upload it to YouTube Live. Matt Rossi is a Technical Support Manager at CCTV Camera World, a leading CCTV Camera distributor located in Buffalo, NY. He is a technical support expert for everything video surveillance related. CCTV Camera World is an established CCTV equipment distributor in the USA with shipping locations nationwide. We test every product we sell to make sure it is worthy of our name, as we stand behind all the products we sell. Our experts take pride in the work we do and the products we sell. We always welcome customer questions, so feel free to contact us. We are open Monday through Friday, 9AM - 5:30PM EST. All prices are in USD. Copyright © 2015 CCTV Camera World Inc. All Rights Reserved.